The Heart & Vascular Center at Valley View is home to a distinguished group of cardiologists and a cardiovascular surgeon who diagnose and treat heart and vascular diseases, including many rare and complex disorders. A multidisciplinary expert team is trained to care for many diverse conditions. Valley View offers you the widest range of treatments and the most advanced cardiac technologies for Colorado’s Western Slope. But more than that, you will find people who care about you. Our top priority is you and your heart. We are here to listen, guide and provide personalized heart care – the way it should be. This clinic’s mission is to provide comprehensive care to optimize the function of loop recorders, pacemakers, defibrillators and heart failure devices to meet the unique needs of each patient for optimal well-being. Our dedicated team members receive advanced training from the medical device industry — Gabriella Haftel, RN, Certified Cardiac Device Specialist has been working in the field of implanted cardiac devices since 2006, and received certification from the International board of Heart Rhythm Examiners as Certified Cardiac Device Specialists in 2013. As a registered nurse for more than 30 years, Haftel is well-versed in the evolving technology and providing patients with individualized care, ensuring devices are programmed optimally to suit their needs. We utilize manufacturer-specific programmers including Biotronik, Boston Scientific, Medtronic and St. Jude Medical to collect diagnostic data from cardiac electronic devices to form appropriate treatment plans. Our cardiology/electrophysiology physician specialists pair newly implanted cardiac devices with wired or cellular adapted remote monitors, so data is gathered automatically and remotely. Remote monitoring like this has become the standard of care and is recommended by the Heart Rhythm Society. Our ability to discover arrhythmia data and changes in monitored values can lead to early intervention and promotes best clinical outcomes, including increased survival benefit. Post-implantation, our patients are seen in the clinic for education and to evaluate the surgical site. Automatic remote transmission can alert our specialists in the clinic, promoting to rapid response times. Our cardiac rehab program educates the patient on his cardiovascular condition, helps the patient gain confidence for managing his condition, and guides the patient in lifestyle modification. At Valley View, we strive to leave our patients with a positive impression of the whole hospital experience. This cardiac rehab program is directed by physicians, and staffed by exercise physiologists, dietitians, nurses and stress management counselors. Cardiac rehab staff starts the education process with the patient and/or family. Education includes medications, cardiac procedures, and cardiac risk factor awareness. We help the patient set short term goals, and we will give simple guidelines for activities. Additionally, we want patients to be able to recognize signs and symptoms of potential problems, and spread these potentially lifesaving skills to friends and family. Continuing care is our focus at Valley View, and so therapy begins within weeks of an event or procedure. Our outpatient program is goal-driven and multidimensional, including monitored exercise, dietary education and stress management counseling. We reinforce risk factor education and modification, and analyze measures of change in order to reflect on successes and needs of improvement. Regular updates on the patient’s treatment are noted to the referring physician. Insurance overage varies, but most follow Medicare guidelines of up to 36 one-hour sessions. Upon graduation from an early outpatient program, the patient will have the tools to lead a healthy lifestyle. 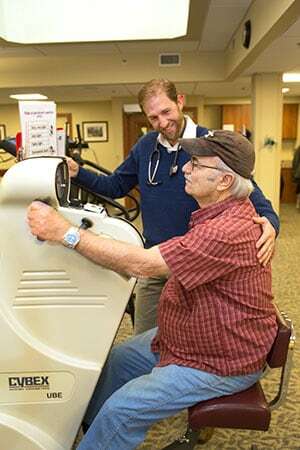 We offer continuing care with maintenance exercise classes at our facility — the patient exercises independently and at an out-of-pocket fee, but still has the security of cardiac rehab staff and the social support of their fellow classmates. Education continues in this setting, along with regular goal making and health status updates. The Cardiothoracic Surgery Program at the Heart & Vascular Center provides critical support to patient when chest, lung and esophageal conditions require expert attention. Leading this program is Dr. James Narrod, a specialist in thoracic surgery for the last three decades who also performed the first successful lung and heart transplants in the state of Colorado. Dr. Narrod has most recently been focusing his efforts on minimally invasive approaches for treating patients, as he and his patients appreciate the long term health benefits these procedures deliver without months of recovery time. 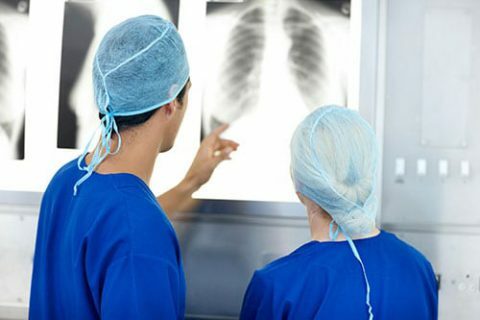 Dr. Narrod has performed the first thoracic and vascular surgeries here at Valley View, including minimally invasive surgery to remove lung nodules. His expertise includes coordinating a multi-discipline approach, that may call for an oncologist, radiation therapist and surgeon to come up with a treatment plan together. Dr. Narrod is available to assist primary care physicians in evaluating chest and lung masses seen on X-rays, vascular problems that may include leg pain, or even hyperhidrosis — excessive sweating. As a physician who is driven by the needs of those who need care, Dr. Narrod strives to improve quality of life, returning patients back to their lives or even a better version of their lives, as seamlessly as possible. Valley View Cardiology has invested heavily in the IAC (Intersocietal Accreditation Commission) guidelines and accreditation, to provide the highest level of care for our patients. We are one of a few sites on the western slope to be accredited for Adult Transthoracic, Adult Transesophageal, and Adult Stress Echo. The IAC accreditation process requires the Echo Lab to follow a strict set of standards, which are continuously audited by the IAC for adherence. 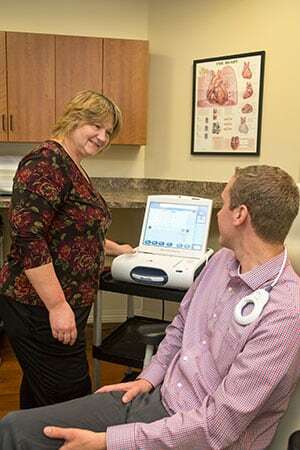 Our three sonographers have decades of experience in echocardiography, and participate in regular ongoing education — Lead Sonographer Heather Cleary has given lectures in the field based on her own expertise. Our lab uses state of the art techniques and equipment to provide the utmost in quality and thorough exams for patients often found in academic labs, rather than small community hospitals. Echo services are now available at our satellite locations of Rifle and Meeker. Our Echo Lab provides cardiac ultrasound services based on IAC guidelines. We perform adult Transthoracic Echocardiograms (TTE), Stress Echocardiography including Dobutamine and Treadmill, and Transesophageal Echo (TEE) routinely. Other advanced cardiac testing includes 3D imaging in both Transthoracic and TEE procedures, strain imaging, use of echo contrast medium, and agitated saline studies. Strain imaging evaluates early detection of cardiac toxicity resulting from therapies used to treat cancer patients. Strain imaging is more sensitive in detecting myocardial dysfunction and allows oncologists to manage heart disease risk factors in cancer patients. Strain imaging, also known as deformation imaging, is also used to quantify regional myocardial function and the effects of valvular heart disease. Transthoracic and Transesophageal 3D Echocardiography is used as an advanced tool to analyze LV volume mass and function. 3D volume is helpful to compare with standard 2D Echo to improve upon evaluation of overall left ventricular function. 3D imaging is also a valuable tool to better evaluate the extent of valvular heart disease. 3D imaging allows the cardiologist to visualize the heart from any perspective. Cardiac surgeons value the information from 3D Echo concerning valvular disorders to better determine the extent of surgical intervention. 3D Echo can also be helpful in evaluating right heart function. We are the only lab on the western slope closely evaluating right heart function for those with right heart failure, pulmonary hypertension, and pulmonary disease. Valley View Heart & Vascular is excited to announce the expansion of our electrophysiology program to include the most sophisticated equipment available in the field today. Our Siemens(c) bi-plane electrophysiology lab is only the second of its kind in the country, giving patients on Colorado’s western slope a program on the leading edge of research and innovation. Heart and Vascular Cardiology Clinic provides individualized care focused on individual needs. 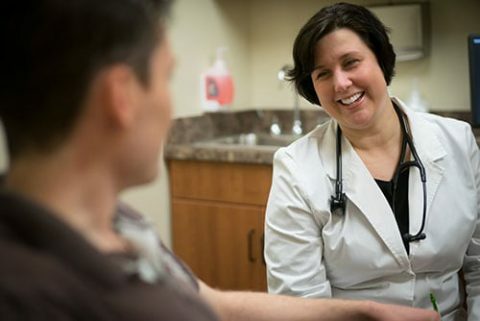 With six locations, six providers, four RNs, four MAs and two pharmacists, HVC is expertly equipped and staffed to deliver the highest quality, personalized care to your patients. Our providers specialize in a full spectrum of clinical cardiology including cardiovascular surgery, electrophysiology, pacemaker, ICD and anticoagulation management. At HVC, the emphasis is on collaboration with the primary care physician, nurse practitioner or physician assistant. Our providers encourage informal telephone consultation as well as more structured comprehensive in office consultation, testing, treatment and co-management of cardiac conditions. Early referral is encouraged for evaluation and management of patients with chest pain, suspected arrhythmia, hypertension, hyperlipidemia, and syncope. For the convenience of patients, non-invasive cardiac testing is performed onsite under the direct supervision of cardiac specialists. Advanced imaging with ultrasound, nuclear and computed tomography is routinely performed for initial diagnosis and on-going management of cardiovascular conditions. Ambulatory monitoring, oximetry, tilt table testing and vascular testing are performed. Advanced echo testing is utilized with chemical and treadmill stress, intravenous contrast and trans-esophageal imaging. HVC provides the highest quality, state-of-the-art cardiology evaluation and treatment with specialists who live in the Western Slope of Colorado and understand the opportunities and challenges your patients experience. 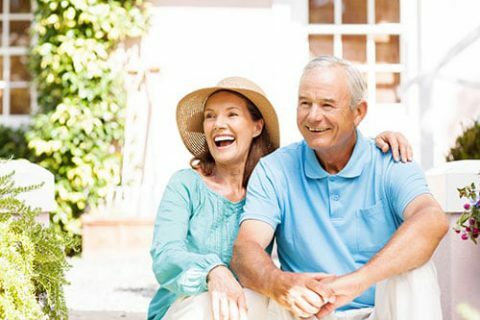 Valley View is a unique asset to your practice providing sophisticated cardiac care for your patients conveniently located close to home. The Vascular Clinic at Valley View Cardiology is home to providers who have performed the vast majority of vascular procedures on the western slope of Colorado in the last 20 years. The highly regarded Dr. Marcus Howell, Interventional Cardiologist, and Dr. James Narrod, Cardiovascular & Thoracic Surgeon, work together to provide world class vascular services to our patients. A lack of vascular care in the valley has made this a priority for our clinic. 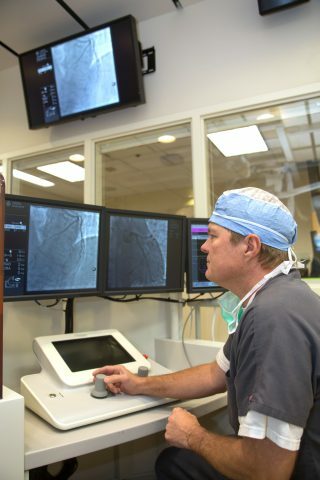 The Cardiac Catheterization Lab at Valley View opened its doors in January 2007 to provide diagnostic and interventional therapies to the western slope of Colorado. 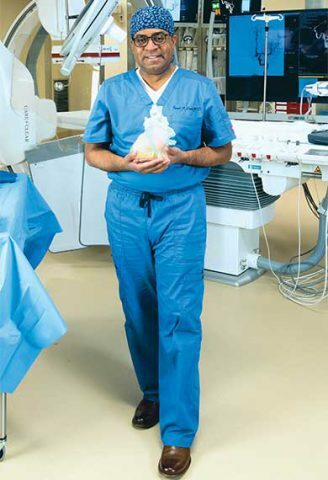 Thanks to the efforts of Medical Director Dr. Frank Laws, the lab now rivals those found in university settings across the country, boasting the most advanced technology including robotics, as well as support from reputable specialists like Interventionist Dr. Marcus Howell and Cardiothoracic Surgeon Dr. James Narrod. Medication treatment is effective for most atrial fibrillation patients who have intermittent atrial fibrillation, and a structurally normal heart. Patients with chronic atrial fibrillation and associated structural heart changes do not usually respond to medications as well. The convergent approach provides an answer for patients who have previously failed medication treatment. The convergent approach involves the expertise and skills of both an electrophysiologist and a cardiothoracic surgeon. 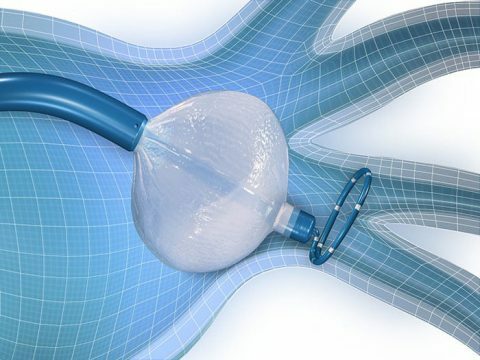 It involves minimal patient discomfort, a shorter hospital stay and quicker recovery time than traditional surgical approaches, while combining the best techniques from a medical team in one procedure. Please call for a consultation today. The convergent approach involves both an electrophysiologist and a cardiothoracic surgeon.